View Goldston's Past Wedding Videos Videoed and edited by Goldston's Photography. (Play wedding clip), 4.1 MB. 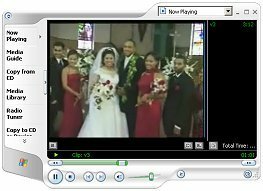 (Play wedding clip), 4.5 MB. (Play wedding clip), 2.1 MB. If you would like to have your wedding day recorded on video, contact Robert Goldston, "The Wedding Videography Specialist." The Most common mistake is to have an amateur video your wedding. All too often they are not prepared with the right equipment to be able to record the whole wedding. Goldston's post production editing will incorporate your favorite sound tracks, scenic panoramas location shots, titles, transitions, and memorabilia photo slide shows into the video making your wedding video a memory that you will cherish for generations to come. 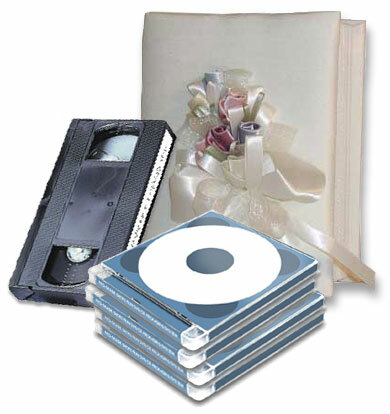 Have your wedding recorded on DVD or VHS, and share your moments for years to come.